In the 1970s, a little-understood virus was the number one killer of cats in the United States. So little was known about the it that, in 1970, when an elderly woman first started bringing cats sick with cancer to Angell Memorial Hospital in Boston—the original veterinary teaching hospital for Tufts—there was next to nothing that her veterinarian, Susan Cotter, could do. But Cotter was curious about the possibility that the woman’s animals were infected with a virus that had been found in a couple of Scottish cats a few years earlier. That set her and a small team of researchers off on a quest that saved millions of cats and helped identify the virus that causes AIDS in people. Here, in their own words, is the untold story of how that team persevered through scathing criticism of their controversial findings and wound up changing veterinary medicine. Susan Cotter, Distinguished Professor Emerita, Cummings School: My involvement with feline leukemia research started with Mrs. Mary Gravell in 1970. She was an older woman who didn’t have a lot of money and lived in a one-bedroom apartment in Cambridge, Massachusetts. She had 35 cats. Mrs. Gravell really took good care of her cats, but more and more of them kept getting sick and dying. She would bring these cats into Angell. I started taking care of her cats, which had a type of cancer that was not very treatable. 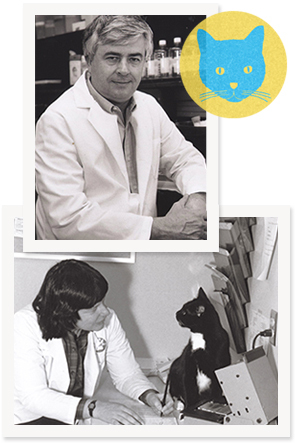 Richard Jakowski, Associate Professor Emeritus, Cummings School: The feline leukemia virus was discovered in 1964 by Bill Jarrett in Glasgow, Scotland. Jarrett saw viral particles of a then-unknown retrovirus while looking at a blood sample from a couple of cats that had leukemia. In 1970, Bill Hardy, a veterinarian who was an investigator at the Memorial Sloan Kettering Cancer Center in New York, developed a test that could detect this virus in blood. Cotter: I contacted Bill Hardy about his new test, and we started checking some of Mrs. Gravell’s cats for the feline leukemia virus. Mrs. Gravell’s cats were primarily unrelated, domestic shorthair or longhair cats with the exception of one Persian cat, and, sure enough, six of the first eight tested positive for the virus. Then, just by luck, Max Essex moved to Boston. Max Essex, Chair of Harvard T.H. Chan School of Public Health AIDS Initiative and the Botswana Harvard AIDS Institute Partnership: We established a relationship with Sue Cotter, in particular looking for multiple cat households with cats that had feline leukemia. It was pretty evident by then that the disease and the virus were concentrated in certain households. What we wanted to establish beyond any doubt was that the virus was actually contagious. Cotter: Max was really interested in Mrs. Gravell’s cats because he thought someday a retrovirus that caused cancer in people might be found. He had grant money, so in 1971 we made a deal with Mrs. Gravell that he would pay all her cats’ medical expenses if she would agree to let us go to her house three or four times a year to take blood samples from all the cats. She also had to agree not to get any new cats, and to keep them all indoors. When we first tested her cats for the virus, the majority of them were positive, but some were negative. Over the next 30 months, seven of them converted from negative to positive, evidence that this was a contagious virus. Essex wanted to study populations beyond Gravell’s cats. So he got in touch with Richard Jakowski, a classmate from his veterinary school days at Michigan State University, who was working in the pathology lab at the University of Connecticut. Essex asked Jakowski whether he knew of any homes where lots of cats had been mysteriously dying. Jakowski: I said, Yes, as a matter of fact, for the past year or so I’ve autopsied quite a few cats from this one house in Connecticut. The owners, Mr. and Mrs. Ives, agreed to let us come visit their home to take blood samples from their surviving cats when I told them we were doing research on the disease that was causing them so much loss. Cotter: Trying to catch all those cats in Connecticut is almost another story in itself. Jakowski: The Ives were breeding Abyssinian and Burmese cats, and they had a few stray domestic cats as well. When we got down there and we saw how many cats were involved, we were just amazed. Essex: The only clear place where we could hold the cats to take blood samples was the top of a grand piano. Jakowski: As I recall, we bled all the cats in that house on the kitchen counter. Cotter: All the Abyssinians looked alike, and all the Burmese cats looked alike. And they didn’t have collars. 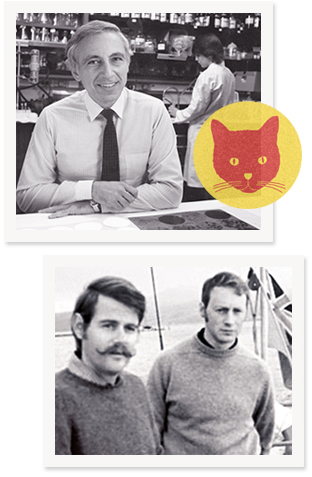 Cotter: A few of the cats had two names. I remember one named Sir Galahad, who was also called Butch. We were trying to keep all these names straight. Jakowski: The Ives had 100 animals living in their house, perhaps even a few more. They had a tremendous number of cats. This was a gold mine as far as Max was concerned. To set up a research experimental design like this would have cost hundreds of thousands of dollars. Essex: We’d take blood samples from 50 or 100 cats each visit and bring home six or eight dead cats. The woman stored all the dead cats in the freezer for us to take back and do autopsies on. Jakowski: Max did all of the blood work in his lab in Boston. But I would get involved with the autopsies on the cats. When the cats would die, they would be sent to my laboratory in Connecticut. The postmortem follow-up would show us just exactly what diseases were going on in the house. Francis: What I did was turn to epidemiologic studies and focus on the natural history of feline leukemia, which meant noting the time of the start of an infection and what happened to a population over time. The team had come to believe that these cats weren’t coming down with leukemia and lymphoma due to some genetic predisposition or simply bad luck. In a 1973 paper in the prestigious science publication Nature, Hardy, Essex and Cotter published definitive evidence that the cancers were being spread contagiously via the feline leukemia virus. William Hardy, Investigator at the Memorial Sloan Kettering Cancer Center and Founder and Director of the National Veterinary Laboratory: When we published that paper, we got a lot of criticism. The contagious nature of a leukemia virus was scary, and people at NIH said that was really not [happening]. Jakowski: There was a lot of skepticism. Max was going up against the common belief of a lot of people who were well-respected in the research community. Hardy: We took a beating for a few months. Then other people started to see the same thing, that the feline leukemia virus, in fact, was contagious. And that was something that really shook up a lot of people. Some people started getting rid of their cats, thinking they could catch cancer from them. Even we weren’t sure they were wrong. About 75 or 80 percent of all the emerging infections come from animals into people. Whether it’s Ebola or flu, they jump species, animal to animal. Cotter: We’d get down there in the morning and the first thing the owners would ask is if we would like some coffee. But the cats would be walking all over the tables, and we were a little reluctant to eat because it wasn’t 100 percent known at that time if the virus was transmissible to people. Max and Don Francis were involved with testing blood samples from some children with leukemia at the Jimmy Fund Group back in those days to see if there were signs of the FeLV virus. There wasn’t any connection, and we’re now confident that humans can’t get the feline leukemia virus. Hardy: But some researchers have shown that you can infect some human cells with certain strains of the feline leukemia virus in a laboratory setting. There is a worry that there might be a mutant FeLV somewhere that will jump into people and then cause some other major problems. The feline leukemia virus came from rodents, so it has already jumped species once before. But hopefully that will never happen. Cotter: Originally, when we followed these cluster households, the average lifespan of a FeLV-positive cat was predicted to be about two years. Hardy: On average, 80 percent of infected cats died within three years of their first positive test result. If they were under a year old when they tested positive, they died much quicker. Cotter: We know now that if a cat is kept indoors, without exposure to other cats, they can live longer. If there are always new cats coming in—like there were in the households we studied or back in the days when shelters just put all cats together without doing any testing—they are really going to have problems. Hardy: The feline leukemia virus is very clever because it gets into the saliva; it gets into the urine. And cats are very social: They groom, they lick, they bite, they fight. So going through the saliva is a beautiful way to transmit itself amongst cats. But it’s got to be fairly significant direct contact—not just one lick. Infected cats have to live in intimate contact with other cats for some period of time before they actually transmit the virus. Cotter: So we thought if cats are positive, either don’t adopt them out or isolate them so they’re not in contact with other cats, particularly kittens. Hardy: Just by keeping cats that were infected away from uninfected cats, you could stop the spread. That enabled us to publish a very effective way of stopping FeLV infection in 1974, a decade before the first commercial vaccine was available. Cotter: FeLV was once so very common. But there has been a huge decrease in prevalence overall of FeLV, at least in developed countries. It’s due in part to animal shelters testing cats for FeLV and not adopting out kittens that are affected and secondarily to the development of a vaccine. Within a few years, veterinarians, animal shelters and pet owners were using the team’s findings to save the lives of millions of cats. And it wasn’t long before another important use for their research was found. Hardy: Collaborating with these many-cat households led us to figure out not just how the virus was spread, but also what other diseases you might see in cats infected with FeLV. We never could have gotten to these answers so quickly without the cooperation of these owners, who by crowding the cats together, had unwittingly caused more disease. Essex: A lot of the cats infected with the leukemia virus developed serious noncancerous diseases: pneumonias, candidiasis [a painful and sometimes deadly overgrowth of yeast] and a whole bunch of infections that were sometimes the same as what human AIDS patients would end up getting a decade later. The cat diseases fit a definition of immune suppression because there was a lot of scientific literature even then about how people taking immune-suppressive drugs for kidney transplants or to treat cancer would develop certain diseases. Cotter: So we broadened our research to look at cats that had been brought for a variety of problems to Angell Memorial in Boston and the ASPCA’s Henry Bergh Memorial Hospital in New York: leukemia or lymphoma, bone marrow failures like anemias, and other infectious diseases. And we were finding some were FeLV-positive. It looked like their immune system wasn’t functioning well, because they would pick up other infections very easily. Hardy: These cats were becoming immune-compromised and dying of wasting diseases and so on. In the retroviruses of other animals like cows, chickens and mice, we didn’t see immuno-suppressive disease. Essex: Within a year or two, we showed that the feline leukemia virus clearly caused immune suppression. In 1981, researchers were baffled by a surge in cases of a usually rare skin cancer called Kaposi’s sarcoma among gay men living in California and New York. Beginning in 1968, the National Cancer Institute had funded a 12-year search for human cancers caused by viruses. But by the time the first cases of this HIV-related cancer started to appear, that program had been dismantled and the idea that any human cancer could be contagious had been largely dismissed by the medical community. Essex: People doing human cancer research fit into two camps: One believed that viruses would never have anything to do with cancer. The other believed that they would—and that some of those viruses would be contagious. The leader in the latter camp was Bob Gallo, a researcher at the National Cancer Institute. He really latched onto what we were doing with feline leukemia. Robert Gallo, Director and Co-Founder of the Institute of Human Virology at the University of Maryland School of Medicine and Co-Founder and Scientific Director of the Global Virus Network: The arguments against the possibility of a human retrovirus were ferocious. So we were ridiculed. But I really believed in feline leukemia’s story—the only real example of an infection in nature causing cancer I had ever seen—and I had the technology to hunt for a hard-to-find virus. Essex: In 1979, Gallo and people in his lab identified the first human leukemia virus, called HTLV-1 or human T-cell leukemia virus-1. Gallo: We first isolated it from a young man in Alabama. When I first submitted my paper on its discovery, it was rejected. I have the letter from the Journal of Virology framed in my office. It’s basically a “Dear John” letter from a friend who was the editor, who more or less told me to take my marbles and go home; no one believes this crap. Eventually my paper was published in the Proceedings of the National Academy of Sciences, in December of 1980. Although we found the HTLV-1 virus in America, the leukemia it causes is very prevalent in Japan. The disease usually affects young adults, who typically live less than one year after diagnosis. Essex: We set up a collaboration with researchers in Japan, during the lymphoma epidemic, and one of the first things we looked at was whether that human leukemia virus could be immuno-suppressive, because the feline leukemia virus was immuno-suppressive. And it was, although only mildly so. Cotter: Then, in ’81, you started seeing these mysterious health problems in the gay population, in California and New York primarily. People were getting infections similar to what the cats would get when they had the FeLV virus. Francis: By this time, I was at the [Centers for Disease Control] working on studies of hepatitis B in gay men when the first baffling cases of HIV/AIDS started to be reported. At that time there was no therapy, so people started dying in large numbers. Cotter: Max started thinking, This is just like the cats. 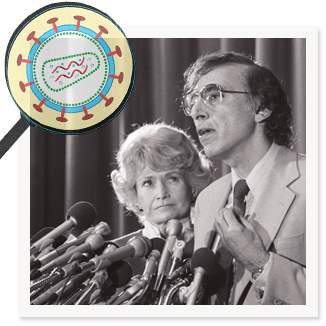 He and Gallo were among the very first people to suspect that AIDS might be caused by a retrovirus. Gallo: Around the beginning of 1982, Max and I had a series of telephone conversations as we started to think about this possibility. The human leukemia virus called HTLV-1 could cause mild immune suppression, but we thought a variant of it might cause the kind of severe immune suppression we saw with the feline leukemia virus. Essex: Gallo and I started to do AIDS research and to look specifically for a virus related to HTLV-1 as a possible cause of AIDS. Hardy: It was maybe a year or two later that the HIV virus was isolated. Essex: In ’83, in Science, we published the first paper on it. 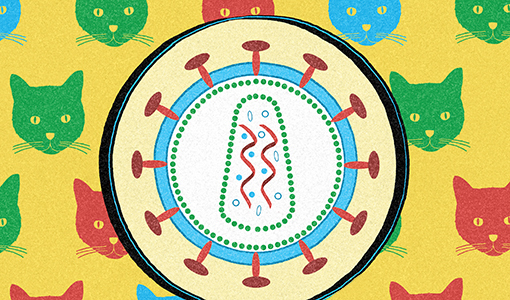 There were five papers in that issue, and two were from us—one of them showing details of feline leukemia virus causing immuno-suppression as a model for human AIDS. Two of the other papers in the issue were from Gallo’s group. They were on different aspects of identifying an HTLV-1-like virus in people. The fifth paper in the issue was from Luc Montaignier in France. That’s relevant because Montaignier is the one who got the Nobel Prize for HIV-AIDS. What he had that Gallo didn’t have was better electron micrograph pictures of the virus. Within a year Gallo had overwhelming evidence that HIV was the cause of AIDS. Essex: In 1984, when Secretary of Health and Human Services Margaret Heckler made the announcement that the virus had been found for HIV, she said a vaccine would probably be available in two or three years. Gallo: If you go back to the transcript, what she actually said was that we should be able to test a vaccine within a couple of years. In 1986, Daniel Zagury, my collaborator at the University of Paris, did just that. Essex: There’s a good reason why a vaccine works for feline leukemia but we still don’t have one approved for HIV. You know how with flu you need a new vaccine every year? That’s because the flu virus is constantly changing through mutation and re-assortment in some cases. HIV does that same thing, but many, many times faster than flu. That’s the biggest hurdle to getting an effective HIV vaccine for people. Whatever one you make is obsolete for the HIV virus that’s traveling around by the time you make it. Cotter: We may have a vaccine for FeLV, but we’re still not very far in treating FeLV-positive cats. There aren’t any very good treatments, compared to HIV. Some of the human antiretroviral drugs have some effect in cats, but they also have side effects. It’s a quality of life issue. So for the most part, we don’t treat the virus. If you have a positive cat, you just try to keep it indoors and away from other cats, so it’s not exposed to other infectious diseases. And some of these FeLV-positive cats can live for years. Jakowski: The Ives and the other cat owners who helped with these studies deserve recognition for their critical contributions to our understanding of this disease. Hardy: Mrs. Bernard, a woman who had 108 cats in a fifth-floor walk-up near the George Washington Bridge in New York City, was instrumental to our findings. She brought every cat in to ASPCA’s Henry Bergh Memorial Hospital in New York City while they were healthy and again if they developed leukemia. Cotter: A lot of the progress we made goes back to Mrs. Gravell. We acknowledged her in some of the early publications, and she gave out copies of those papers. I think she appreciated that her cats were helping other cats. That’s why Tufts is one of 20 academic centers in the National Cancer Institute’s Comparative Oncology Trials Consortium, a group dedicated to finding new ways to help humans and animals alike. Cheryl London, V90, a veterinary medical oncologist at the Foster Hospital for Small Animals, offers five reasons why dogs and cats can make for better medicine than mice. Because cancer in pets mirrors cancer in people. Unlike mice, in which tumors are typically induced through genetic engineering, people and pets develop them naturally over time. Many dog and cat cancers are difficult to distinguish from their human counterparts, including lymphoma, melanoma and cancers of the bone and breast, among many others. Because pets live in the human world. Because people and their pets share their homes and larger environment, they are susceptible to the same factors that can drive cancer, such as exposure to smoke, pesticides and other chemicals. Because mice don’t vomit. That may be good for the mice, but it’s a problem for researchers trying to track certain drug side effects. It’s often relatively easy to observe lethargy and nausea in dogs and cats. “Pet owners are so in tune with their animals,” London said. “They’ll tell you, ‘My dog used to like to play ball; he doesn’t want to get up and do that anymore on this drug.’ ” If a treatment makes a dog feel worse, chances are good it will do the same to a person. Because pets help researchers study rare diseases. Sometimes there just aren’t enough people affected by a particular cancer for researchers’ needs. For example, angiosarcoma, an aggressive cancer of the cells that line blood vessels, is rare in people. But the parallel canine cancer, hemangiosarcoma, affects one in five golden retrievers—the third most popular breed of dog in the United States.